The head of global real estate giant Kennedy Wilson has said that the combination of a "great university system" and "clear growth" among the world's major technology companies will continue to support its decision to invest hundreds of millions in Dublin. 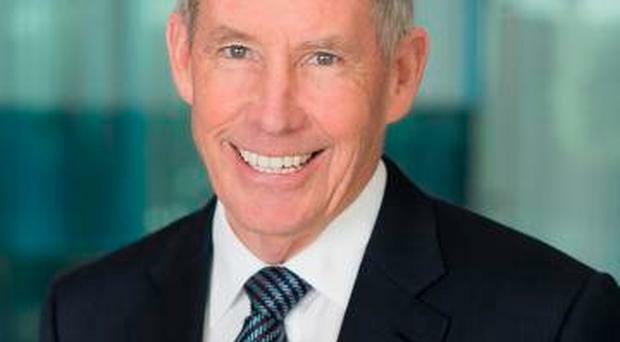 Kennedy Wilson chairman and chief executive Bill McMorrow has described his approach on investment in Dublin and on the west coast of the US. He said: "We've learned over the years that in order for any of these markets to sustain themselves, there has to be a great university system because they have to be producing younger people that can go into the job market." Mr McMorrow added that the "clear growth" taking place in the technology industry was underpinning the creation of jobs taking place in Dublin and in Seattle, Reno and Boise in the United States. Referring to Kennedy Wilson's analysis of the tech sector's prospects and the potential impact of that on his business, he said: "We study the large technology companies, their financial statements. "We study their ability to continue to grow. And when you look at the top 15 technology companies by market cap [capitalisation], and then really study their balance sheets, these companies are extremely well-capitalised." He added that it was Kennedy Wilson's view that US tech giants investing in Dublin such as Google, Facebook, Apple, Microsoft and Dell, all have what he described as "a very long runway of growth in front of them". Mr McMorrow made his comments on the outlook for Kennedy Wilson's Dublin portfolio in the course of a conference call with analysts following the publication of the company's latest quarterly results. Earlier this week, Kennedy Wilson announced the completion of its Capital Dock development in Dublin's South Docklands. Extending across an area of 4.8 acres, the scheme includes over 690,000 sq ft of new mixed-use space including offices, retail, apartments, and a 1.5 acre public park. By Mark Bain Old Bushmills Distillery is to double production over the next five years after plans were approved yesterday for a major extension at the north coast whiskey maker. By Margaret Canning Northern Ireland's economy will expand by just 1% during 2019 as Brexit and the lack of an Executive continue to drag on performance, according to a survey today. By Ryan McAleer Belfast City Council has said it is on course to double a target of bringing £1bn worth of investment to the city. By Ryan McAleer Banking group Citi has confirmed the purchase of the 133,000 sq ft Gateway building in Belfast's Titanic Quarter.